Turns new golden brown teak into a taupe colour. 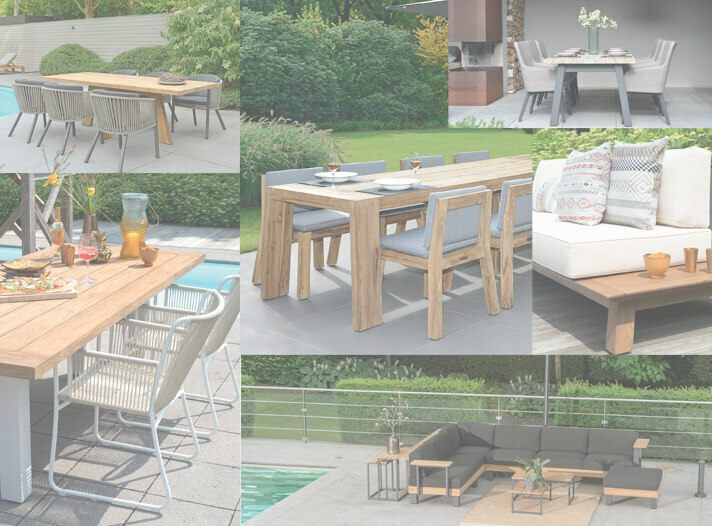 Or maintains the taupecolour of old or reclaimed teak for a longer time. 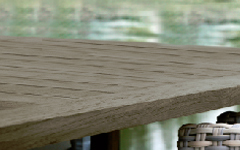 Matches your teak tables with the colour of your wicker chairs and cushions. 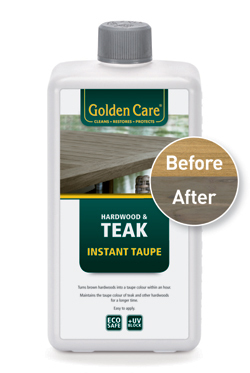 Helps to hide sapwood.After applying this Instant Taupe, we strongly recommend treating the surface with our Teak & Hardwood Shield to prevent stains.